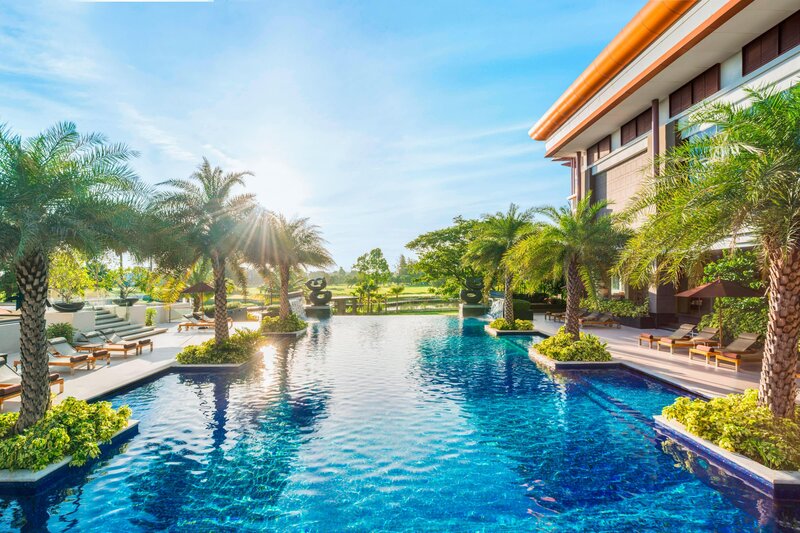 Situated in lush surroundings between Suvarnabhumi International Airport and the city centre, Le Méridien Suvarnabhumi, Bangkok Golf Resort & Spa is an inspired starting point for discovery. From Bangkok&apos;s intoxicating nightlife to its ancient temples and palaces, the area invites full cultural immersion. Sensory experiences can be found throughout the resort, from visionary meeting rooms that encourage innovation to restaurants that delight the palate. For leisurely pursuits, the Explore Spa, Summit Windmill Golf Club and saltwater infinity pool offer hours of enjoyment. Delight in unexpected details, from a freestanding bathtub and glass-enclosed rainforest shower to the LM BED, featuring an artistic rendering of the traditional Wai greeting. Floor-to-ceiling golf course views and private balconies or terraces offer a change in perspective. From our ultra-comfortable LM BED to our sleek bathrooms with freestanding bathtubs and rain-forest showers, you’ll discover uncommon details that make your time with us even more extraordinary. The first Le Meridien branded spa in Thailand. 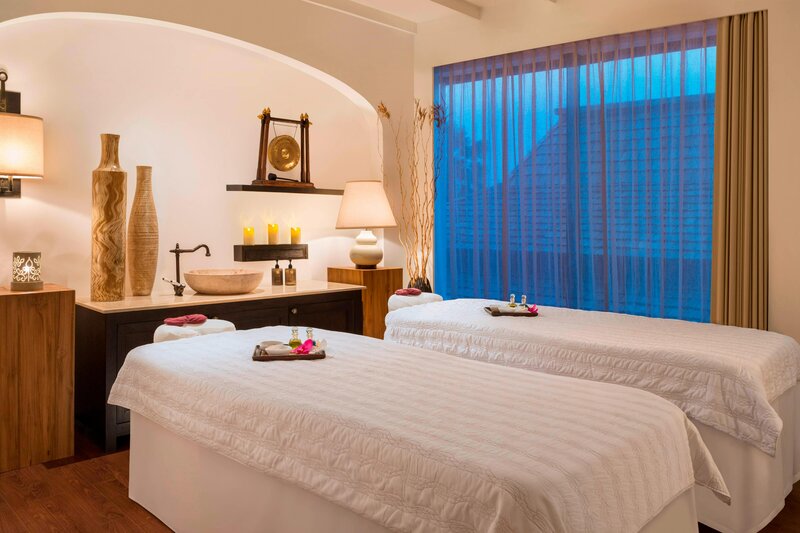 Encounter relaxation and well being at Explore Spa, where contemporary art and age-old customs intersect with five treatment suites, including couple’s treatment rooms. 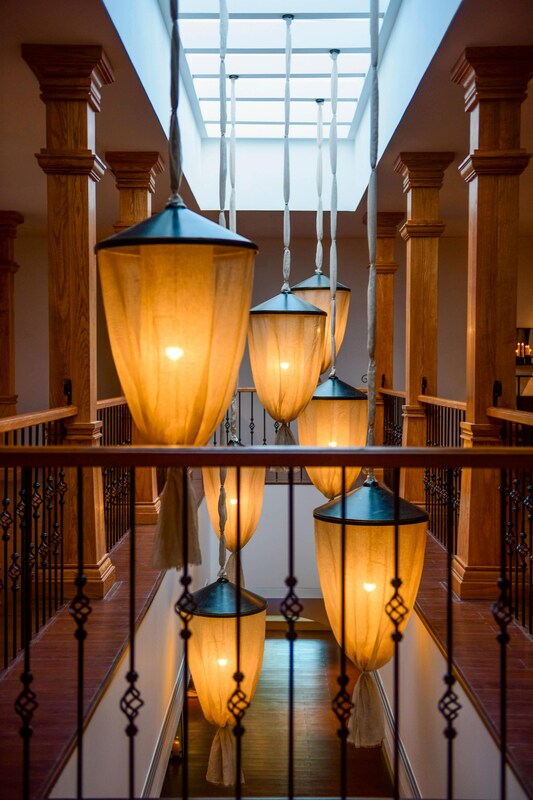 A world of opportunities for a stimulating Meetings + Events, inspire cuisine and modern design elements stimulate new ideas and connections creating limitless opportunities for engagement and discovery. Whether your event is expansive or minimal, we can provide a sleek, technologically advanced space that acts as a blank canvas to your vision. 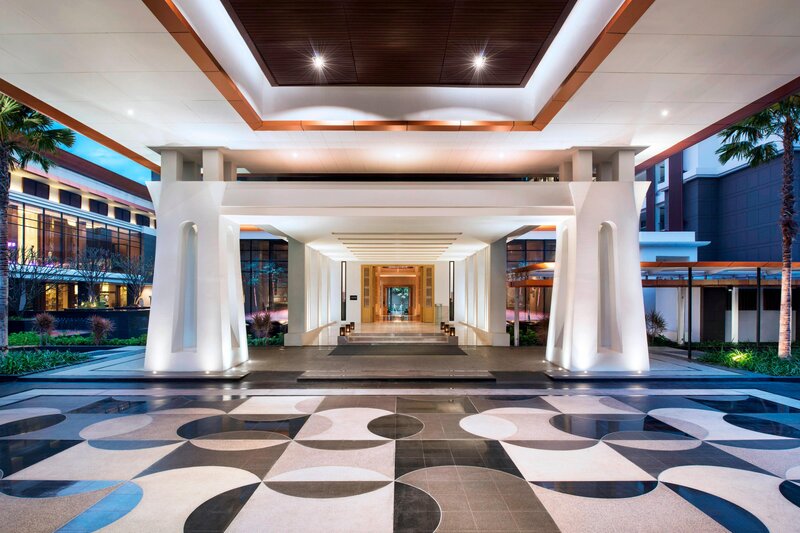 Le Méridien Suvarnabhumi, Bangkok Golf Resort & Spa is located along the Bangna-Trad Road KM.10.5, just a short 15-minute drive from Suvarnabhumi International Airport, BITEC and Sukhumvit road or 30-minute drive from the city centre. An iconic 18-hole course situated on 160 acres, providing Day & Night Golf which consists of landscaped gardens which adds to both the beauty and difficulty of every hole. 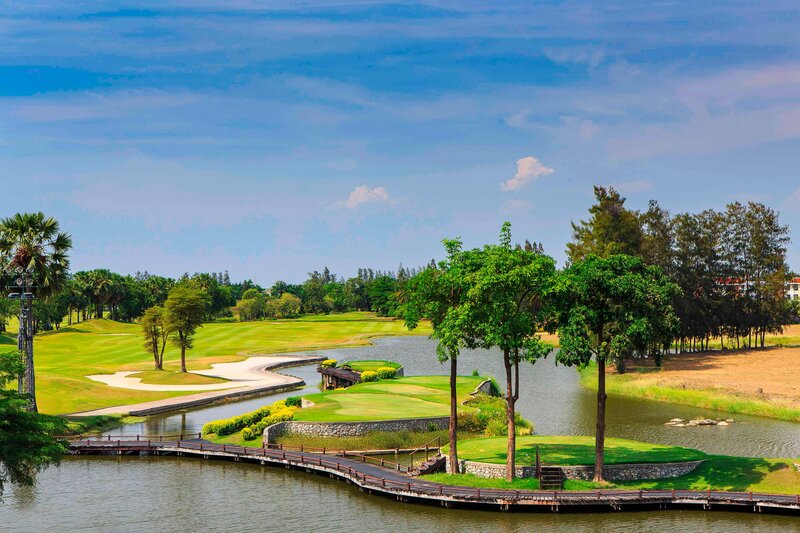 Manmade lakes, rolling hills and landscaped gardens dot the par 72 course, leading players over terrain that defies their strategy and elevates their game. 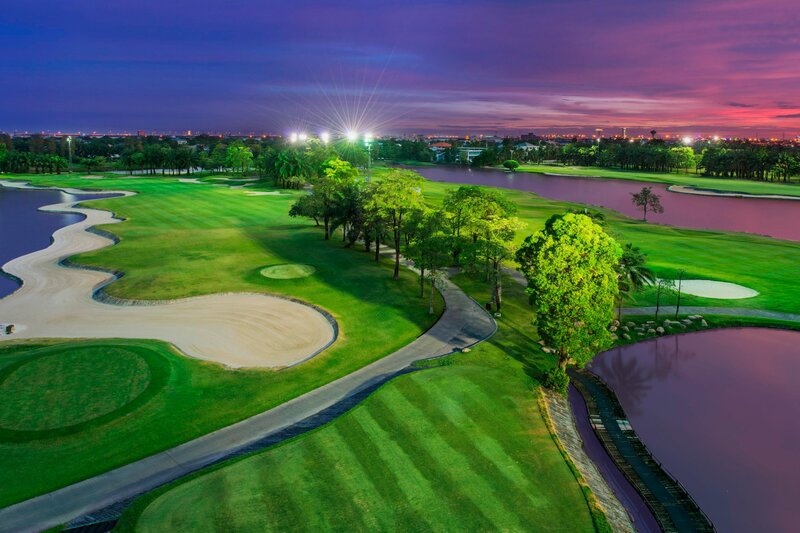 For an even more evocative experience, reserve your tee time at night and play on a floodlit course under the moon and stars.